Fish — Silver Wave Seafood Co. Known as a "Super Fish," Salmon is also a "Superfood" packed with the highest nutritional value. One of nature's most magical creatures, fossil evidence estimates that salmon have been in existence for over 50 million yrs. Their vitality has taught us about generations of cultures, the health of our rivers and our nutrition. "Heart-healthy, immune-boosting awesomeness." The nutritional content of wild-caught (not farmed!) salmon make it one of the healthiest foods on the planet. For the outdoor active lifestyle of Southwest Colorado, wild salmon is one of the best sources of lean protein and omega-3 fatty acids, which help reduce inflammation, improve heart function and lower blood pressure. Furthermore, the antioxidant-rich superfood is also high in Vitamin D for maintaining healthy, strong bones and B Vitamins for supporting aerobic energy metabolism. Nutritionists recommend eating wild salmon twice a week for heart, brain, joint, skin and eye health in addition to its immune system boosting, cancer-fighting benefits and whole body wellness. This a very important topic to understand. More than 80% of the salmon eaten in America, especially in land-locked towns, is farmed. Farmed salmon have dangerous levels of cancer-causing chemicals and contaminants including mercury, pesticides, dioxins and PCBs. Also, farmed fish have a terrible ecological impact, releasing waste, chemicals, disease and parasites directily into the surrounding waters, harming other marine life. Don't be fooled by "sustainable" or "organic" labels, it is still considered farmed and should be questioned, if not avoided. 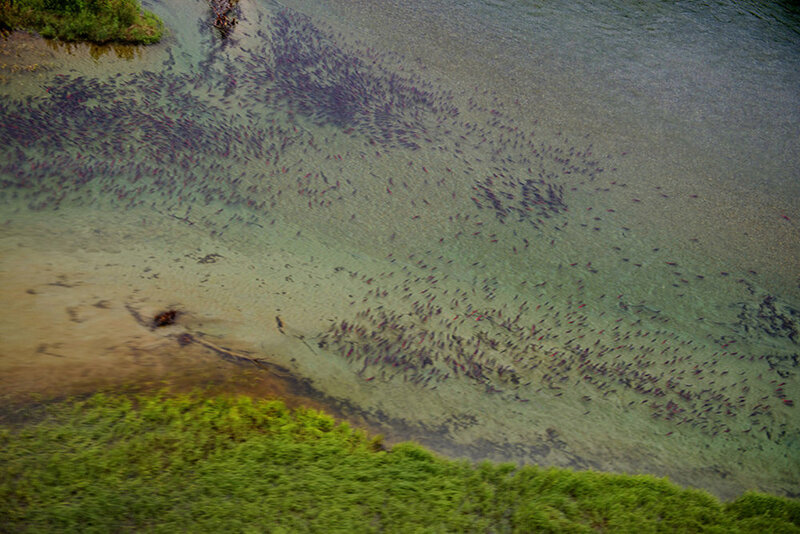 Wild salmon have very unique habits and natural habitats that support their vitality.